I had a quick phone call with Janet Voûte last week. I caught her just as she was going into the launch of the 2016 Access to Nutrition Index session at Davos. I guess that's the closest I'll probably get to a WEF session at Davos like ever. OK, so I wasn't in Davos, I stayed warm. But first, a quick reminder of Nestlé's claim to fame: Creating Shared Value (CSV). No, I'm not going to give you the lecture. You probably know what Shared Value is all about by now. But if you don't, stop, grab a cup of Nescafé (see that? PC), and read all about it in Nestlé's last report. Oops, the full report is 284 pages short. You night need more than one cup. The Summary Report is only ONLY 53 pages and that works well too. The report is entitled "Nestlé in Society: Creating Shared Value and meeting our commitments". That bit about commitments is no less important than the CSV bit. Nestlé has 38 commitments to 2020 that support the CSV direction. Check them out here on Nestlé's CSV website. Against each commitment is a statement of progress and a link to dive deeper. The scale, scope and breadth of these commitments is formidable, especially as they are not only about reducing GHG emissions, water use and salt, fat and sugar in products ... they are mainly about changing the way consumers consume or the way farmers farm or the way young people get a foot on the career ladder. What's striking about Nestlé's commitments is that most of them really go to the heart of the role of business in society. Which, in a nutshell, is what CSV is all about. It's better-world-through-business .. where business addresses specific societal / social needs in a way that creates value both for the business and for society. Darn. I wasn't going to lecture. What does Global Public Affairs mean on a day-to-day basis? Janet: What I spend my days on is our CSV agenda and all the many aspects of that. I have the privilege to sit on the Nestlé In Society board – that’s an internal management board of our entire societal agenda, chaired by our CEO, which meets three or four times a year. I also spend time as Chair of the Nestlé CSV Council which is an external advisory group made up of 12 thought-leaders from around the world in strategy and sustainability matters such as nutrition, water, agriculture and rural development. I also organize our CSV Forum and stakeholder convenings. Obviously, around this time of year, I am also involved in the development of our report suite and effective communications of CSV. I have a particular background in the health field so I also work on our Nutrition Health and Wellness strategy. Yes, you did read that right. Stakeholder convenings. Somehow that sounds much more considered than stakeholder meetings or stakeholder dialogue, though I suppose it's pretty much that. However, Nestlé does this quite spectacularly. But before we convene about convenings, you first need to know about the CSV Global Forum. This is an annual public debate held in different places around the globe, bringing together around 200 experts for a full day to discuss the role of business in society and key topical themes. It's live-streamed and prolifically tweeted. You can read the summary of the 2014 event here. (Don't worry, no more than one cup). The CSV Global Forum provides inspiration and direction for the stakeholder convenings. Please tell me about stakeholder convenings. Janet: Twice a year, in addition to our public engagement processes, we hold private stakeholder convenings covering the same topics that we discussed in our public stakeholder dialogue events under the CSV Forum. These private convening events for around 60 - 70 people including academics, NGO's and members of the investor community enable an open discussion about what we are doing and what they like and what they don't like. The convenings are held under Chatham House Rules (we just completed one in Washington D.C.) and the conversations are enriching for our business leaders. The last time, our CEO spent nine hours listening and responding. This platform provides authentic insight into what’s expected of us as a company. It also helps our stakeholders gain new insight so I hope it's mutually beneficial. The think-tank SustainAbility helps us structure the process. The output of these discussions feed our materiality assessment. We also publish the recommendations in our CSV report. The investment in truly understanding what stakeholders are saying in so many different meetings, convenings, gatherings and panels (Nestlé also has a Nestlé Nutrition Council - an independent advisory panel made up of international nutrition scientists) is a far cry from the online questionnaires or consultant-led interviews with anonymous stakeholders which seems to satisfy many companies. This is real face-time. It's meaningful, impactful and robust as a source of guidance for Nestlé's evolving role in society. One of the tangible outcomes is Nestlé's materiality matrix. Does all this chatter really have an impact on the way Nestlé does things? Janet: Oh yes! It really does. For example, our use of the term zero in our water program may well have come from our interaction with John Elkington on the Nestlé CSV Council who made that term synonymous with the sustainable development agenda in his book The Zeronauts. We have zero water dairy factories. While we might have gotten to this ourselves, it’s not a given that we would have developed our ambition to reach this far. Similarly, for example, Sasha Zehnder, the Scientific Director of the Alberta Water Research Institute in Edmonton, guides us in the fact that water is both an emotional and a rational discussion, and all of our nutrition experts on the CSV Council encourage us to engage more with stakeholders and review our commitments. Our CEO listens, we listen, and this changes how we evolve. We are now planning our seventh CSV Forum to take place in Abidjan in the Ivory Coast in June this year. This Forum will continue to look at the changing role of business in society especially in the light of the new Sustainable Development Goals. What’s hot on the CSV agenda today? Janet: The CSV agenda is always dynamic. Nutrition is always on the agenda with both the overweight and underweight double burden of malnutrition. That will always be part of Nestlé corporate strategy. Also, clearly the water and environmental sustainability agendas will continue to be central. And all the work with farmers and rural development. Our Chairman is here at Davos with a new 2030 Water Resources Group which he helped establish. This area will require focus for years to come. What’s new is perhaps the increasing interest of investors beyond SRI and ESG investors. I am seeing new frontiers as the conversation starts to penetrate into the mainstream. Mainstream investors are starting to understand that it’s about why the business does well – CSV as essential to business success through improved access to capital, access to labor, license to operate and brand building. The other topic area that's hot right now is the consumer/millennial side of the equation. Over and under nutrition is Nestlé’s top material issue. Where do you believe you have made the most significant progress in these areas in the past few years? Janet: In terms of the double burden of malnutrition, we are all massively concerned with increasing rates of obesity, and recognize that national health systems cannot manage this. That’s a joint, mutual concern while at the same time you still have populations that are undernourished, malnourished and micro-nutrient deficient. Nestlé has done many things in this area. We have done some of the classic things like reducing salt, fat and sugar and added whole grains and vegetables, but we have also innovated in a series of areas like portion guidance. We are starting to tell consumers in simpler terms how much is the right amount to eat to help them make better decisions. For example, in the U.S., we have a frozen pizza business and we have portion guidance that shows that a big guy can have two pieces and a kid can have one and you should eat it with salad! Janet: We are also doing a great deal of research for the future of nutrition to make step changes such as addressing sodium levels to retain taste but dramatically lower sodium content. To further our research, we have two relatively new business areas in the past 5 years: Nestle Health Science and Nestle Skin Health. Going beyond the food and beverage business and investing in the future of nutrition and health is how we are evolving our corporate strategy while staying true to our CSV core. Science looks for nutritional solutions to specific conditions – targeted nutrition and personalized nutrition are the next level - food, health, skin care - it's all linked by the science of nutrition. It’s a big agenda and I am proud of the company for the progress we have made - it’s not over! I am also happy we improved our score to become number 2 in the 2016 Access to Nutrition Index which is a very rigorous benchmark of food and nutrition companies. It will be a great honor for me personally to host Janet Voûte at our upcoming Sustainability Reporting Conference in February. Janet is a wealth of experience, knowledge and insight, and has a tangible passion that will energize our audience. Of course, if you haven't booked your place yet, better hurry! You wouldn't want us to run out of space, now, would you? Check with me for a discount (yay!). One of the things that Barbara Brooks Kimmel, CEO and CoFounder of Trust Across America-Trust Around the World™ (TAA-TAW), has succeeded in driving home in her intensive work over the past two decades, is that trust in business is no accident. Trustworthy business is underpinned by trustworthy people. Trustworthy people advance trust in business through their words and actions, and the compatibility of the former with the latter. Doing business without trust is like running a marathon with a blindfold. You might keep running but who knows where you will end up. You could also fall and break your leg. Trust is at the root of any successful business. But while that may sound obvious, we all know the consequences of lack of trustworthiness. Martin Winterkorn might want to weigh in here, alongside a thousand others I could mention. I don't believe that trustworthy characteristics are the product of a carefully conceived strategy. I believe that trustworthy business leaders were trustworthy before they were business leaders. I believe it's part of who they are. So why should we celebrate people for doing business in a trustworthy way, just because that's the way they are? Shouldn't trustworthiness be a minimum acceptable baseline? Does it deserve recognition? Yes it does. Because no matter how deeply entrenched your personal trust characteristics are, there are many temptations along the way. So many conflicting interests to appease, so many challenging targets to achieve, so much competitive and regulatory noise, so many demands, so many corners available to cut, so many new challenges that emerge from new market dynamics. Even the most trustworthy of us might be tempted to ease off around the edges in order to protect assets developed and reputation hard-earned. Corporate leaders that rise above the noise and stay true to a backbone of trustworthy character in all their undertakings are an inspiration for us all. A little celebration of trustworthiness can only serve to reinforce it. Similarly, capturing and embedding trustworthiness throughout a large organization takes more than one trustworthy leader at the top. The leadership-halo ripple-effect reaches only so far in large, complex organizations. A structured approach of walk, talk, training, recognition and discipline is required to ensure that every single employee in an organization knows that trustworthiness is more than a value, it's a non-negotiable. Every single employee needs to know the behavioral expectations that support trustworthy business in each daily action in each role. The influence and work of many individuals who support business leaders in embedding trustworthiness in their organizations should also be celebrated. They are an essential part of the trustworthiness chain of custody. Enter TAA-TAW. Now in its 6th year, TAA-TAW celebrates professionals who are transforming the way organizations do business and honors 2016 Top Thought Leaders as well as Lifetime Achievement Awards to seven individuals who have maintained Top Thought Leader status for five years. According to Barbara Kimmel: "The release of this year’s list coincides with the beginning of the 4th year of the formation of our Trust Alliance, a growing group of global professionals committed to learning about and advancing the cause of organizational trust. Many of this year's honorees are well-known CEOs, authors and leadership advisors, while others are quietly working behind the scenes as teachers and researchers. We acknowledge and reward all their efforts in elevating societal trust. We congratulate all of our honorees whose work is shining a spotlight on the importance of trust and providing a roadmap for others to follow. They inspire organizations to look more closely at their higher purpose...to create greater value for, and trust from all of their stakeholders, and understand trust is a "hard currency" with real returns." Check out the 2016 Lifetime Honorees here. And here I will also mention that I am personally honored and delighted to be included once again in 2016 in this carefully selected group of illustrious and inspiring group of individuals. I am humbled to be on this list with so many truly world-changing individuals. I hope you will join me in thanking Trust Across America and Barbara Brooks Kimmel for the hard work that goes into the nomination, judging and award process for the annual selection of Top Thought Leaders, and also in congratulating the 2016 Honorees and Lifetime Honorees. How will you simplify your supply chain this year? Here's a little one-question one-answer quiz. What's the second best thing you can do to mitigate supply chain risk in 2016? Whether you selected answer a) b) c) or d), read on. Learn more about why the Sedex Conference in March in London in 2016 should be part of your schedule. Sedex is a not for profit membership organisation dedicated to driving improvements in ethical and responsible business practices in global supply chains. As the largest collaborative platform for sharing ethical supply chain data, Sedex is an innovative and effective supply chain management solution, helping companies to reduce risk, protect their reputation and improve supply chain practices. I could write reams about the vital importance of ethical supply chain management and the increasing risk as businesses become more global in scope and more complex in scale. It's also a gobbler-upper of resources. Monitoring, audits, training, communications, evaluations, assessments in a context of increasingly strict regulatory requirements means that both customers and suppliers must invest significant resources to stay not only cost-effective but also low-risk. At the same time, the supply chain, if you treat it right, can be a fabulous source of innovation and creativity, enabling business expansion and growth. And of course, no Sustainability Report is complete without critical supply chain disclosures. It seems that Sedex is in the right place at the right time. And by attending the Sedex 2016 Conference (#Sedex16), you will be too! Check out the agenda here. What's the most important aspect of your role at Sedex? What's most challenging and what's most satisfying? Jonathan: Since joining Sedex, what has struck me is our people and the passion they bring to the organisation. For me, it’s our values and our people that are the most important aspect at Sedex. The most satisfying part of what I am doing is seeing our employees engage in future-thinking in fresh and innovative ways. They are all here because they care and are passionate, and the talent and energy we have seems endless. This is wonderful to observe and participate in. Coming from the technology industry, where for nearly 30 years, hype, language and behaviors were all about self-justification and increased investment, I now sense an exit to the “hype” that we have all experienced. I want to help avoid any similarities to the IT industry, by bringing clarity and affordability into the sustainability industry. 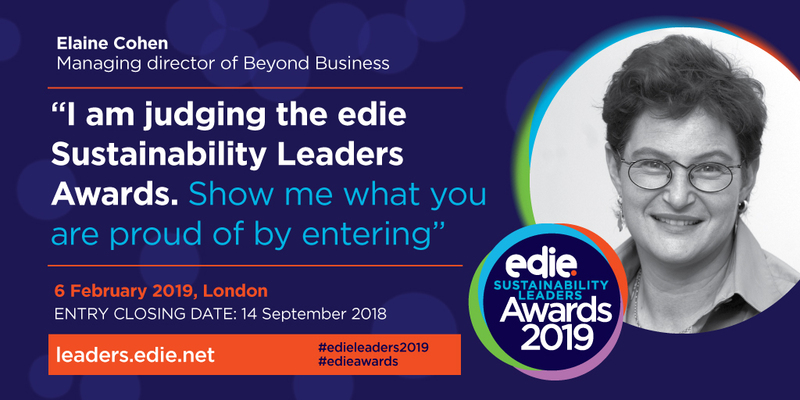 The challenge for Sedex is to help our industry and membership navigate in an increasingly complex sustainability world. We will do this by simplifying our language, facilitating opportunities to work collaboratively, and giving our members an industry roadmap, with a vision of the way responsible sourcing can work. The Sedex Conference 2016 theme runs under the banner of simplification. Everyone seems to talk about the sustainability landscape becoming increasingly complex! How realistic is simplification? Jonathan: The business and sustainability landscape is rapidly changing. From natural resource scarcity to human rights, child labour to an evolving regulatory landscape, our industry is facing a range of challenges. With all these new topics coming up, sustainability is becoming a complicated space with new initiatives, frameworks, certifications, and schemes, creating silos in industries, countries, topic areas themselves. 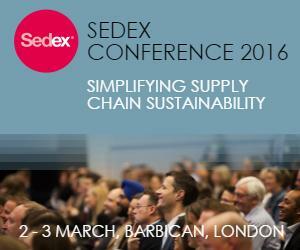 Sedex is already looking at simplifying supply chains and recognising the interconnectivities between different issues such as bribery and health and safety and whether there could be more effective ways for companies and their suppliers to manage these issues as one as opposed to treating them in silos. There is no need to re-invent the wheel but rather try to scale up – pick what’s relevant to you and collaborate with other stakeholders. We might not have all the right answers just yet, but we are getting there. The conference will provide a great forum to discuss and address the challenges and hear from the industry leaders on how they are going about simplifying the challenging issues and approach to tackling them. What's going to be different about the SEDEX Conference 2016? What highlights should we look out for? Jonathan: This will be our largest conference so far, bringing together around 1,000 leaders in responsible sourcing for two days of discussions. The conference will be live-streamed and for the first time, we will also have live interviews with conference speakers straight from the conference hall. The conference agenda will cover the most relevant topics for supply chain sustainability – from modern slavery legislation, how organisations can quantify, value, and improve their impact on society, to best practice in agricultural sustainability measurement and reporting tools and resources and much more. We have an exciting line up of speakers – from multinational companies such as Kellogg and Mars, to organisations such as International Trade Centre and Thomson Reuters across plenary sessions, master-classes, workshops and spotlight talks. For the first time ever we will also host the VIP Networking Dinner event at the Barbican’s tropical plant conservatory in the heart of the City of London. Our conference delegates often ask for more opportunities to network and this dinner, designed for just 150 guests, will provide an exclusive opportunity to connect with industry experts and discuss hot sustainability topics. We are delighted to have John Morrison, Executive Director of the Institute for Human Rights and Business, speaking during the dinner. As a well-known and influential voice on business and human rights, and a highly engaging and knowledgeable speaker, John's speech will be a real highlight of the evening. What's the first best thing you can do to mitigate supply chain risk in 2016? Drop me a note if you'd like a 50% discount on the standard ticket price on registration. Who wouldn't?